QTY 1234567891011121314151617181920212223242526272829303132333435363738394041424344454647484950515253545556575859606162636465666768697071727374757677787980818283848586878889909192 Please select a quantity. 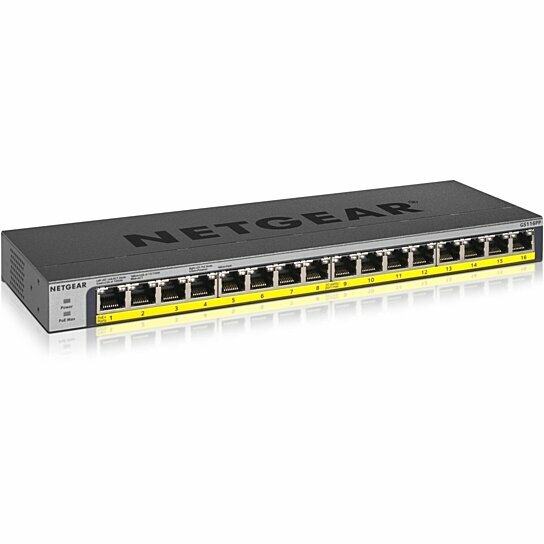 Introducing the NETGEAR GS116PP 16-Port Gigabit Ethernet Unmanaged Switch with 183W PoE budget. The Industry's first flexible PoE+ integrated technology allows you to increase or decrease the PoE budget at any time to provide to your devices the power that they need with interchangeable external power supply and an intuitive power selector. The compact and fanless design makes the GS116PP the ideal cost-effective and future-proof solution for any home or business environment.